» What Is A 2 Way Speaker – 3 Way Speaker? Among popular types of speaker systems, the most common ones would be 2-way and 3-way speakers. Both of them have various degrees of sound waves, from highs to lows that can result in more precise and fuller sound experiences. But what is a 2 way speaker and what is a 3 way speaker? Do you have a deep insight into any of them? To car speakers, the outside noise easily intrudes in your music pleasure because the car is usually in motion. For this reason, you need to find the suitable type of car speakers to enjoy your favorite songs of different kinds, from classical, ballad, bass to rock on the roads. This post was created to help you just that! As its name suggests, a 2-way speaker has two types of drivers which are known as woofer and tweeter. The woofer is a speaker built exclusively for low-frequency sounds, while the tweeter is designed for high-frequency sounds. If the older speaker was in charge of releasing low or mid-range frequencies, then the newest 2-way speaker, as you can guess, is made for the high-range frequencies. Besides, always search for the decent speakers from reliable and popular manufacturers, like the Infinity or the Kicker. By doing so, you can have the best speakers that do not only sound amazingly but also work well with your amplifier. A 3-way speaker generates sound from three individual devices known as the mid-range, woofer and tweeter drivers. Each of these owns its specific efficiency in a wide range of sound frequencies. Due to the ability to get optimized to run in a certain range, this type of speaker can produce much clearer, fuller, and more precise sound than ever! Well, it’s the best single and overall-purpose driver for every audio frequency after all. As compared to a 2-way speaker, a 3-way one, on the other hand, can deal with a distinct part of the entire spectrum. The sound generated here mostly comes from the so-called crossover system, which is seen as a sequence of filters directing the frequency portion to the driver that can release them in the best way. Both of them are called the separates or the full range. As for the first one, for cars exclusively, owns the mounted tweeters right on the top of the woofer. It’s perfect if you’ve got the restricted space only. Besides, this sort of speaker is supposed to be more budget-friendly than the component types. Another element that you might like to consider the full range speakers is when you can’t master the car audio setup. Choosing it means that you only put the replacement speakers where you moved the factory ones away. When you’re searching for the sound quality, picking up the separates would be the best bet! However, since they’re separate, you cost you more money and even time to set up. Therefore, you should have your spaces modified right in the car so that you can accommodate all 2 or 3-way speakers. Why Should You Buy 2-Way Speakers? If you decide to go with a couple of 2-way speakers, you’re lucky to enjoy a balanced sound for sure. A few people said this kind of sound like an organic and lively one since there’s always a balance between one tweeter and another woofer driver. Two-way speakers produce less bass than three-way ones. This makes it more suitable for some certain kinds of music, not mention to the less-bass preferences of many music lovers. For example, if you love Beethoven melody or any song that does not ask for much bass production, then these two-way speakers would be the best deal. Owning more than one speaker at a time means you can control the certain frequencies by availing one crossover. Better than this, the 2-way speakers are supposed to be much easier and quicker to set up than the 3-way ones because they usually comes with fewer cables needed to be connected for the proper function of the speakers. Why Should You Buy 3-Way Speakers? Having one driver can dedicate to only one range of music, which ends up in a high sound precision and great clarity. Also, the three-way speaker’s woofer can target the bass and other sound types in the middle. Meanwhile, the tweeter goes for the higher-pitched sound. Hurry to get a 3-way speaker if you truly take a great interest in rock, R&B, and other music types. Its design is meant to aim at the lows as precisely as possible. And an extra subwoofer from the 3-way speaker would help you to chase after the thumping bass. You will get more freedom when choosing the 3-way speaker, especially as it’s possible and easy to customize the entire frequency filter as needed. Let’s tweak your way around the speakers to fit your needs. Before reading this post, you were wondering: what is a 2 way speaker, what is a 3-way speaker? Now you know the answer. Selecting between these types of speakers is just a matter of your preference! 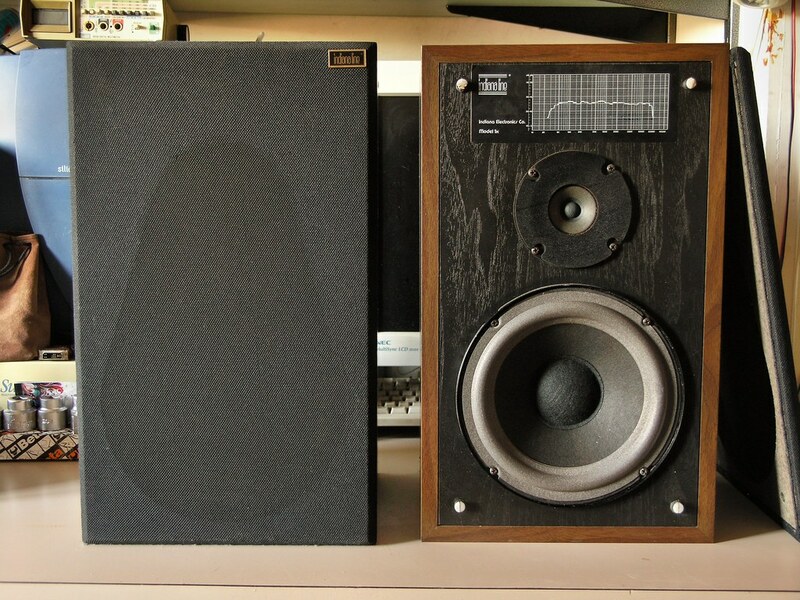 For example, if you’re fond of music with less bass, a couple of 2-way speakers is the best deal! On the other hand, if the bass helps you make all way through every day, go with 3-way speakers. Well, the final choice is yours, so consider everything, from your budget to other acoustic demands before buying the one that feels right to you. Previous Post Best Powered Bookshelf Speakers Next Post What Is B Stock? Should You Choose It?